This year five Assamese films have been selected for special screening at the 46th International Film Festival of India (IFFI), which has started in Goa from November 20. The IFFI, the biggest film festival in the country, has been instrumental in promoting world-class films to a wide spectrum of national and international audience. A platform for national filmmakers from all regions and languages, it has brought a cinematic evolution in India showcasing cinemas of all genres, bringing together the diversity of content, concept and audience. This year IFFI also started a special section called “New Horizons from North East” for North Eastern cinemas. Here are the 5 films which been showcased at IFFI this year. Directed by M. Maniram, Xondhikhyon is a 90-minute crime thriller which revolves around kidnapping of a girl. M. Maniram who is best known for his award-winning film Mon Jaai in 2008. Xondhikyon is the movie which will be premiered on television. Bobby Sarma Baruah’s Adomya released on 12 December last year. The 104-minute film, Adomya, made under the banner of BB Entertainment Private Ltd, is the directorial debut of Baruah. The film is a story of Juri, who had to face the brunt of widowhood just after six months of getting married. Her husband proved to be an AIDS patient and she too got infected. Virtually thrown out of her in-laws’ home, she went back to her village where she gave birth to a girl but there too Juri had to go through social ostracism. Even her daughter was not spared though she tested negative. Her only hope rested with her child, but not without emotional and other challenges which she fought back with great courage and conviction. The story of Duwar is based on a short story Bahiroloi Jowa Baat by noted author Apurba Sharma (1998). It elaborates the state of mind when we feel our life is nothing but a run without any certain destination. It’s a story on Mechanical human life surrounded by concrete n self-centered world.The film revolves in the violent student unrest and its aftermath: the protagonist’s convictions, a failing communist ideology, having to compromise his vision of an innocent world. Unable to come to terms with the persistent turmoil that afflicts his society, he descends into a neurotic struggle to escape his agony. Kopil Bora, Jerifa Wahid, Tanvi Sarmah, Mintu Barua, Asha Bordoloi etc appeared in this movie. Halodhiya Choraye Baudhan Khai (The Catastrophe) is an Assamese film of social genre made by director Jahnu Barua. It won the National Film Award for Best Feature Film in 1988 and multiple awards at the Locarno International Film Festival in 1988. It was the third full-length feature film made by Barua. Paani (Thirst) – Water for Life has been directed by renowned director Jadumoni Dutta. 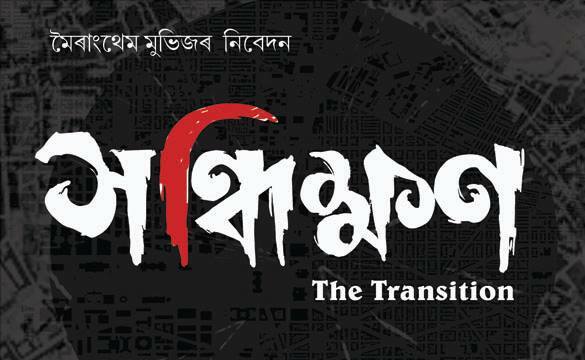 It’s a co-production of the Assam State Film (Finance & Development) Corporation Ltd. and the Director himself who has also done the Screenplay of the movie. Written by Late Dipak Kumar Gogoi, the story of the Assamese movie ‘Paani’ is all about the socio-political scenario, of what the system says and what is actually translated into action.